Satya Chandra is one of the renowned Semolina manufacturers, based in India. Our primary motive is to cater you with best quality products that too in stipulated time. We are also one of the prosperous suppliers of in this industry. We strictly use top quality material in the entire manufacturing process which ensure the optimum quality production. 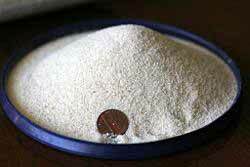 Our most preferable product coarse semolina is exactly according to quality parameters and essential standards. Our matter of concern is only customer satisfaction at any cost.